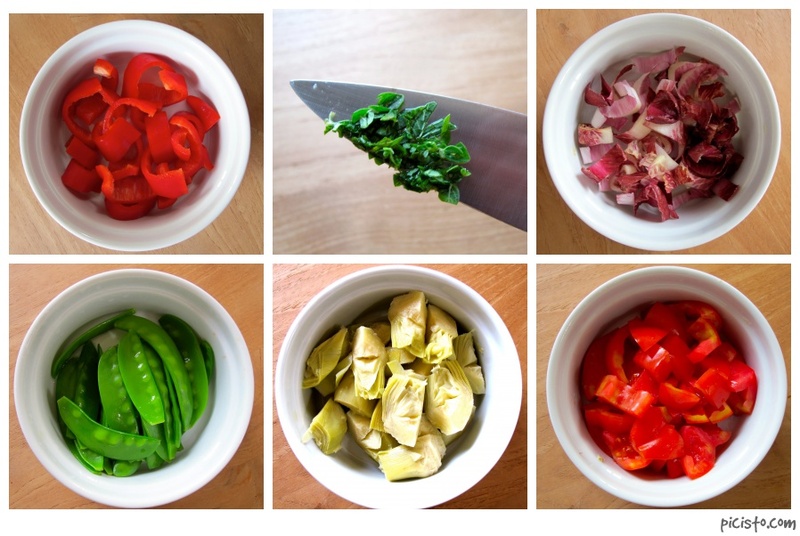 Passionate about cooking, eating & living healthy. 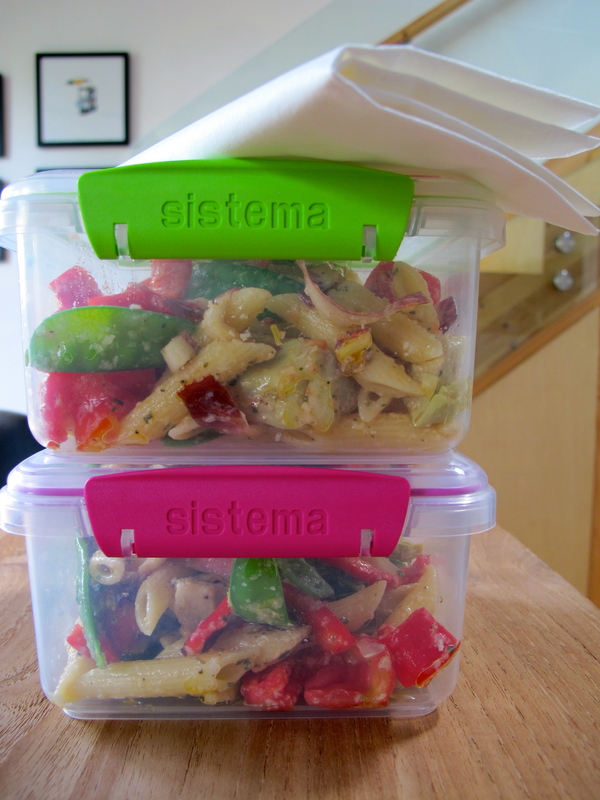 NOT your boring Pasta Salad- to go! I LOVE pasta! I don’t care what anyone says 🙂 There is a time and place for it, this I will admit. 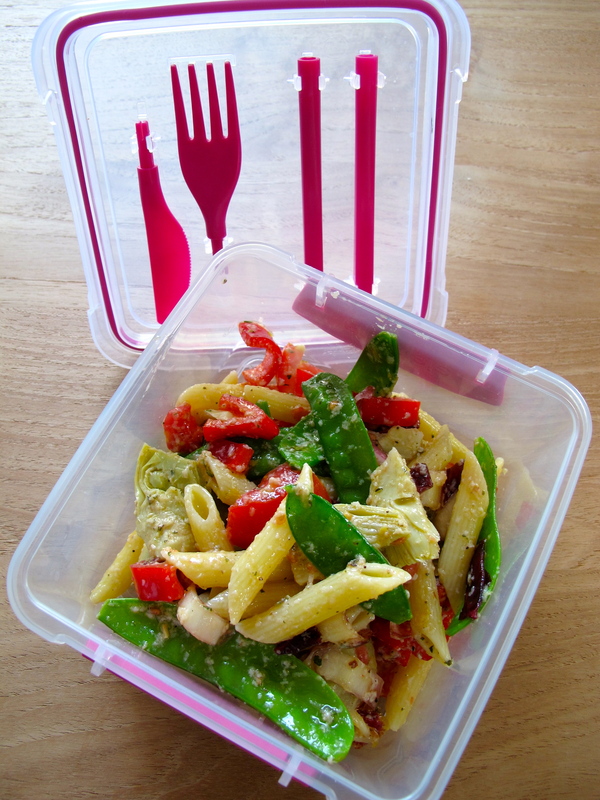 Preferably lunch time, so you can burn off the calories from the carbohydrates throughout the day and as for place, pasta in pasta salad should have a supporting role. 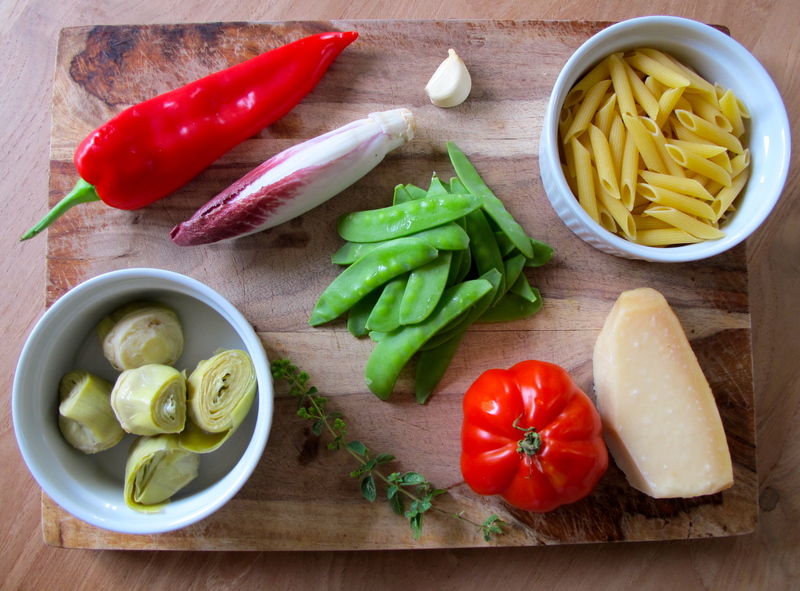 I like to have equal amounts of veggies as I do pasta, to keep a good balance of nutrients. It’s finally summer here in London and a great way to get some fresh air, enjoy the sunshine AND save some money, is to picnic in the park for lunch. I have these great little BPA free reusable containers, with the fork and knife built in the lid, I just fill them up, grab a blanket and off I go! Be creative with what you have. This was a mid-week lunch made with veggies I found in my fridge. Lots of different flavors will work, so you can substitute depending on what you have at home. Bring a pot of salted water to the boil for your pasta, cook for 10 min until al dente, drain and plunge into a bath of ice water to cool and stop the cooking process. Drain and set aside. Wash and chop all the veggies into bite size pieces, the peas I left whole. 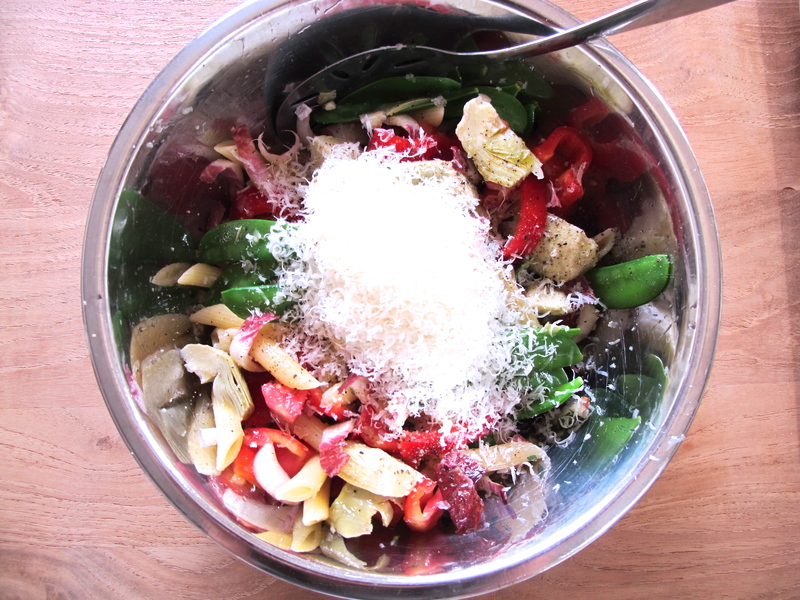 In a large bowl, add your pasta, fresh ingredients and lemon rind. Top with the parmesan cheese (or toasted seeds/nuts) and add enough olive oil and s&p to taste. Mix together well. 4 steps and you’re done! Pack into lunch containers and head to your special spot for a healthy, homemade, inexpensive lunch under the sun. This entry was posted in BLOG, RECIPES, SALADS and tagged food, healthy, model diet, Pasta, salad, sugar snap peas, summer, sweet red pepper, to go, Vegetarian, veggie on July 23, 2013 by Kelly O'Dell.